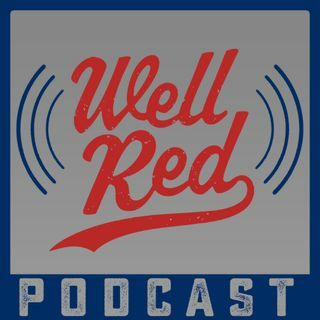 Trae Crowder, Drew Morgan and Corey Ryan Forrester (Authors of The Liberal Redneck Manifesto, and comedians on The WellRed Comedy Tour) host a weekly podcast featuring guests from all walks of life. From MMA fighters, Political experts, Comedians, Television Producers... you get it.. it's diverse. We meet interesting people on the road. Sometimes they let us record our conversations. Sometime's, however, it's just us three goofballs cracking wise about anything from politics, ... Más informaciones sports, chicken, relationships, and music! wellREDcomedy.com for tickets to shows and more! Explícito #113 -Hangin with Chad Daniels! Explícito #112 - Trae Crowder + Andrew Yang! Explícito #111 - Fatness, Shame, and Lake Tahoe! Explícito #110 - Mueller? We Barely Know Er!